GREAT locations for Craig and Leah’s session! I FINALLY got to use a couple of really cool (but kind of risky) locations for an engagement session. Leah and Craig wanted their session to be somewhere totally unusual and I had 3 places in mind: an abandoned and graffiti-covered grain silo, a river wash under an old train bridge and the Goodyear airport where jumbo jets go to die. The risky part was that the first two locations had “no trespassing” signs but we all agreed to take a chance and it paid off. I used a combination of lighting techniques for this one: natural light for most of the silo shots; occasionally supplemented with a single Nikon speedlight through a 16×20 softbox. Inside the warehouse were piles of junk and trash. I kept all that hidden (or at least, indistinguishable) with angles and by shooting wide open so it was just a blur. With the right lens and settings you can shoot portraits in front of a landfill and nobody would be able to tell what is in the background. For the bridge and airport shots I used the big light: a White Lightning through a 20×30 softbox. It gives me amazing light while allowing me to “dial down” the background just enough so everything blends well and the subject “pops.” It is especially helpful when I have bright sun on my background but my couple in the cooler shade; the difference in exposure is huge so the light really helps me even things out. Otherwise, if I try to expose for the couple in the natural shade, the background would be way too bright and lose its appeal. Sometimes natural light is great but not always; you gotta know how to light in any conditions! The airport shots were really fun; I’ve been wanting to do something there for a long time so we pulled up into the desert area a few hundred yards from a 747. I worked quickly just in case there was an over-zealous security guard but nobody ever bothered us; we were pretty far from the perimeter fence. After the sun went down we did the “sitting in the street” shots on the adjacent road. I have shot a few great weddings at Arrowhead Country Club. The following YouTube video is of Stephanie and David’s wedding. The Arrowhead Country Club is a fantastic venue with a great staff. Amy Mires is the event coordinator and has been fantastic to work with. The venue has been rated at the top on many lists including the Wedding Wire. Contact the Arrowhead CC for information on upcoming open houses and information on booking them. We love to escape the heat to Strawberry; it is probably our 2nd favorite place after Flagstaff. One of our friends has a cute little A-frame cabin up there and the weather was perfect; 80s during the day and very chilly at night. It was nice to sleep with the windows open. Julie and Reagan went up on Thursday but I couldn’t join them til Saturday afternoon. Reagan loved playing on the swingset and bring her 12 little stuffed puppies along; she never goes anywhere without them. She gives them imaginative little names like Baked Potato and Sugar Cookie. As soon as they arrived, Julie said she lined them all up on the stairs to the loft. Her puppies keep her busy enough so Julie and I can just relax on the front porch with a bottle of wine. On Sunday we went to Tonto Natural Bridge and hiked down to the bottom; Reagan loved climbing on the rocks. I hadn’t been there since ’99. Ironically, that trip had re-kindled my interest in photography but had no idea it would become what it has today; I’m sure glad it did! Hey all! I am on Pinterest and pinning tons of ideas for my fellow pinners to grab! 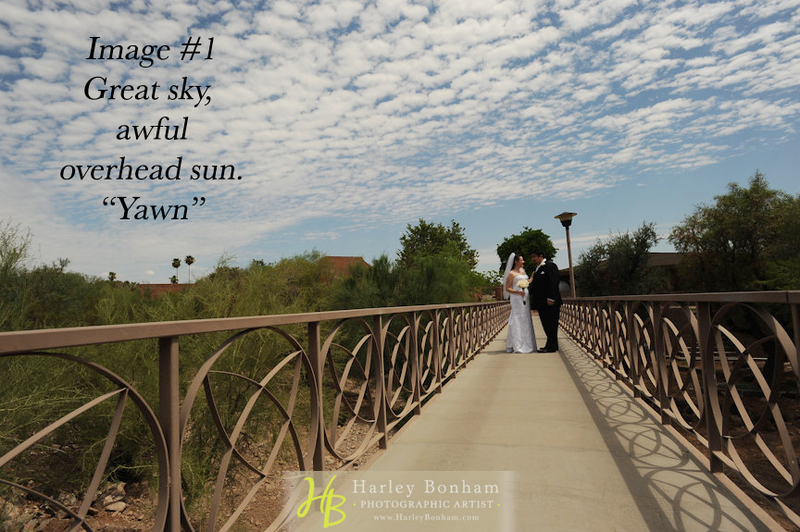 You will find everything from my personal tastes, family shots, to Wedding Day ideas and tips. Click the link below or type in Harley Bonham into the search box on Pinterest. I am always looking for new people to follow! In the words of Pinterest: HAPPY PINNING! Some of the many pins I have are shown here. 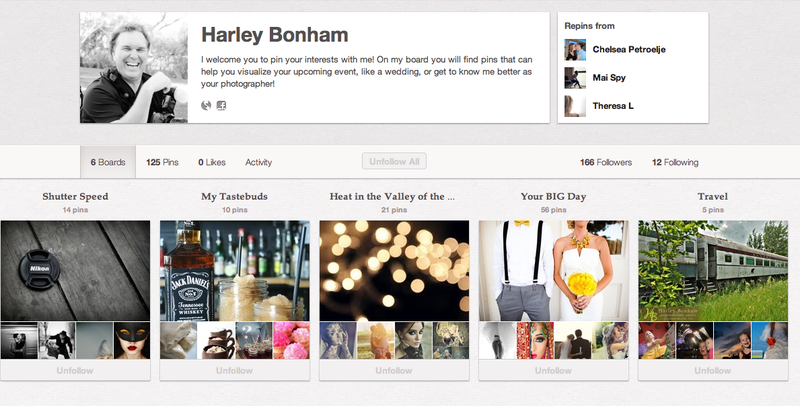 Harley Bonham (harleybonham) on Pinterest. According to the Dictionary, a doctor is someone who is “skilled in or specializes in healing arts”. This is a person who “restores, repairs, or fine-tunes” for their client. A doctor is usually chosen based on their experience with the ailment, their location, their reputation, their skill set and their quality of service. I find it an interesting parallel that most people want to choose a photographer based on similar qualifications. Plus, depending on the circumstances, finding the appropriate photographer can be as vital as finding the right doctor. Imagine if you had severe abdominal pain. You describe it to a friend who then produces a scalpel and says “This is the best scalpel money can buy; let me help!” Would you have faith in his ability to help you? Wouldn’t that be like hiring a friend with a nice camera to photograph your wedding? Granted, you won’t die from the result of bad photography but the pain could be very similar! EXPERIENCE: I think most people in need of a serious operation would want a surgeon with years of experience compared to an intern. Not only would they have the experience to do it right but also know what to do if things go WRONG. 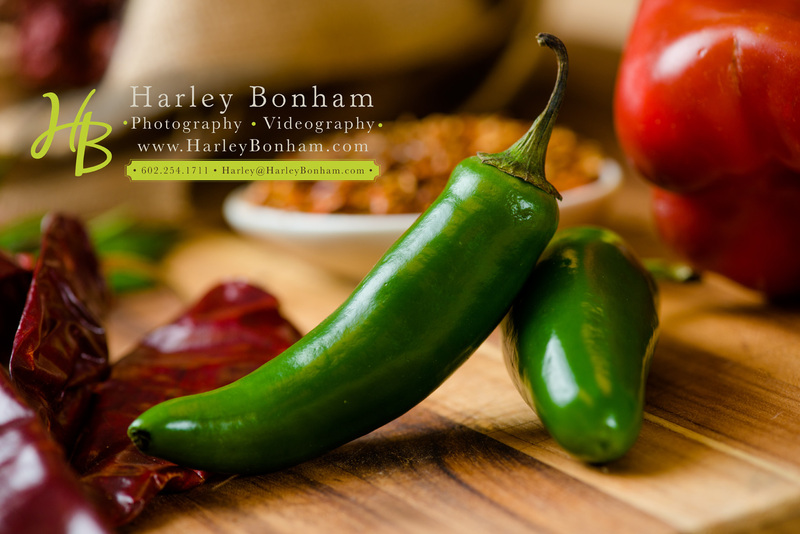 A great photographer will not only have the extensive experience but also know what to do if they encounter, say, awful lighting conditions. For example, did you know that when you go from shooting outdoors to indoors (like a church dressing room with flourescent lighting,) that the colors will change drastically if the photographer doesn’t know how to compensate using the proper camera/flash settings? If they don’t know what they’re doing you could wind up with sickly green skin tones. LOCATION: A photographer should also be within a certain proximity to their client. Let’s say you plan a destination wedding. Would you be comfortable trusting a photographer who you can’t meet until the day-of? Not only that, how do you verify that they have the skills needed? Many destinations or resorts have a staff of photographers that will work cheap enough so the resort can mark up their services to make their own profit. Great photographers simply don’t work “on the cheap.” I feel the worst part is when you return home your images are still thousands of miles away and your recourse is extremely limited if there are ever any problems. It would be almost impossible to get any personalized customer service unless your photographer lives in your town. Imagine how much better it would be when you can get to know your photographer as a friend but then still meet with him AFTER the wedding when your album is ready for proofing. How about when babies come along as well? REPUTATION: The photographer you choose for any shoot should have a good reputation in their community. If you are looking for a wedding photographer, you can check with other wedding vendors. A vendor recommendation can be extremely valuable; even more so than a friends referral. For example, I’ve worked with some great DJs but also some terrible ones. At one wedding the DJ was so bad, the venue coordinator told me she was putting him on the black list. Later, though, I heard a guest request a song and he played it. She thought he was the best DJ in the world; apparently for that reason alone. What if she referred him to YOUR wedding? You actually can’t predict what a DJ will do on your special day but OTHER VENDORS can give you insight that nobody else can. SKILL SET/SPECIALIZATION: Keep in mind that a photographer who is great at one thing might not be great at others. A great portrait or nature photographer will not automatically be great with a wedding or a bar-mitzvah. These two life events have aspects that happen so quickly and will often be missed by someone who doesn’t have extensive experience in that event; many parts of these events can’t be re-shot. Not only that, the ability to anticipate what will happen and “knowing where to look” in a wedding only comes after scores and scores of previous weddings. TURNAROUND: Would you see a doctor whose patients take way longer than average to get well? I know of couples who still haven’t seen their wedding images 3 months after the wedding and some don’t get their album for a year!! Thanks to help from my assistant, Chelsea, we’re excited to have your album done the first week after your wedding and the images ready for viewing the second week! Behind the Scenes: Overcoming awful shooting conditions and a little Photoshop magic. Joey and Elizabeth’s wedding was yesterday and we had typical September weather: hot and humid so we had to work quickly in awful, direct-overhead sun at noon. This is the WORST time of day to shoot outdoors but we overcome that by using a powerful studio flash with a large diffuser that Michael carries along with a 20-pound battery pack. 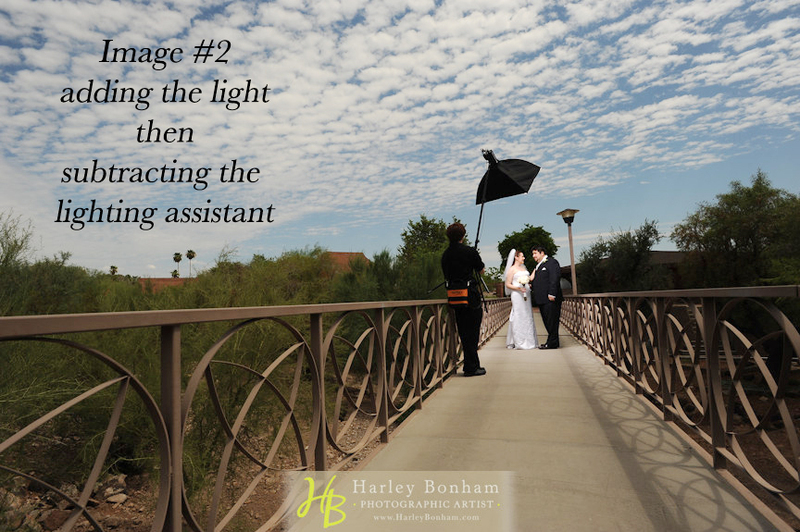 This gives us beautiful light no matter where we go and it has become a big part of our technique to create consistently stunning images wedding after wedding. We got all the usual shots inside the air-conditioned church including the formal, traditional portraits. However, I saw these amazing cottonball clouds and I knew they wanted spectacular outdoor shots so I took them to this bridge; I wanted to finish this shot under two minutes to keep them from getting too hot. The vision I had in my mind’s eye is virtually impossible to achieve without combining TWO different shots and some powerful light so here’s where the Photoshop magic comes in:. The first shot is the unedited natural light image; not exactly spectacular and they hardly stand out at all; I’m sure your eye was drawn more to the clouds than the couple. This second shot is where you see Michael pouring on the light; NOW we’re getting somewhere but we still need him out of the shot. Later, he layered the two images and simply blended himself right out of the shot. I also figured, while we were at it, to remove the light post as well. After a few other subtle adjustments, NOW we have a work of art that would look GREAT over a couch in their living room! Congratulations to Joey and Elizabeth!